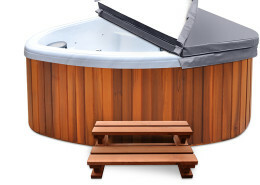 The L-260 is the perfect patio or balcony spa. 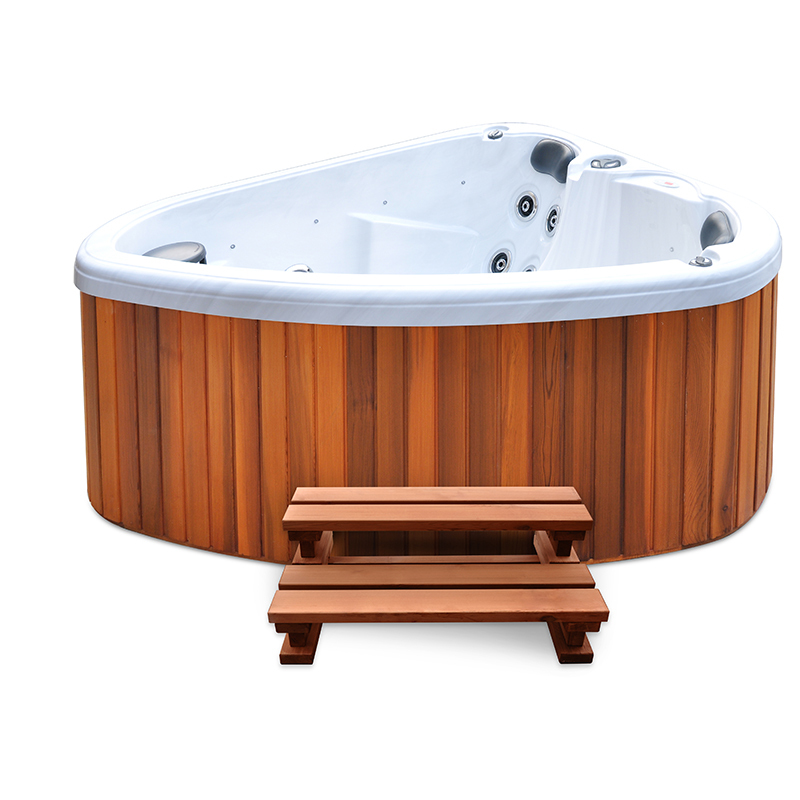 Two comfortable seats with the massage features of bigger spas, this gives those limited with space the opportunity to enjoy all the benefits of hydrotherapy and relaxation. Maax Spa Range of Shell, Cabinet and Cover options. Built to Last! 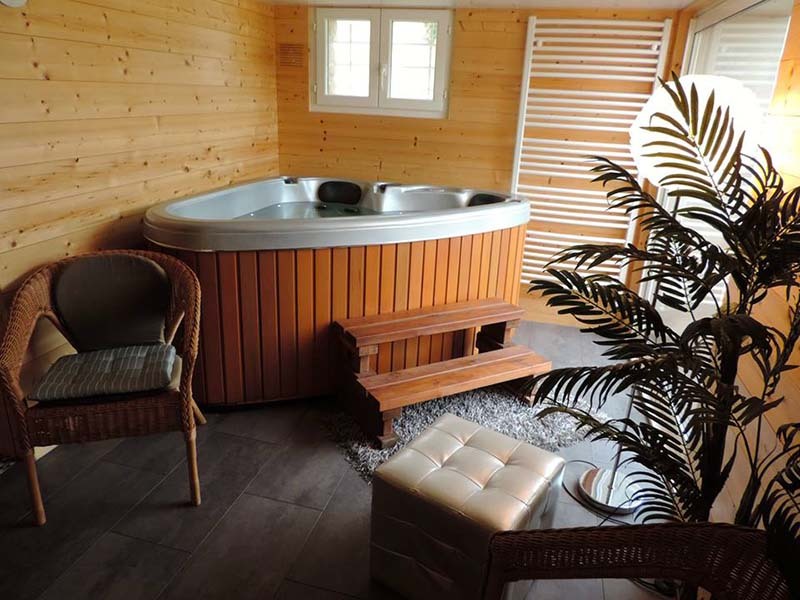 The Solid Bond 5 Layer Spa Shell Construction provides you with greater spa shell strength as well as far superior Thermal Retention qualities – conserving energy and reducing heating costs by maintaining water temperature longer. 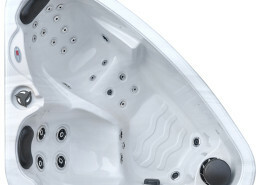 There are eight beautiful spa shell colours to choose from in the Maax Spa range. Designed to match in with any outdoor area, you are sure to find a colour that suits you. All Spa and Swim Spa supporting frames are pre-engineered to ensure that the integrity of the spa will remain intact and maintenance free for years to come. 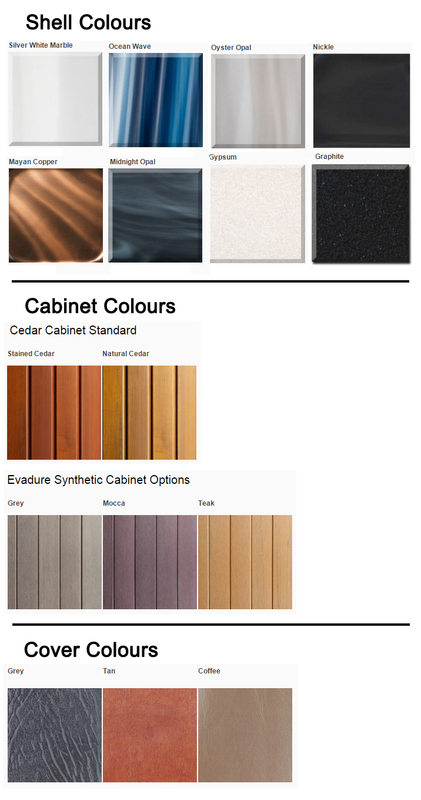 The natural beauty and exterior durability of Canadian Western Red Cedar is highlighted in the standard cabinet. 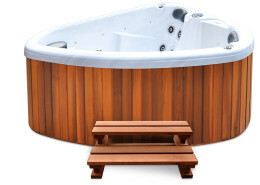 An engineered sub-frame support the 20mm Cedar with a build quality second to none. Each cabinet is coated in our naturally coloured timer treatment with UV inhibitors, anti-fungicides and timber preservatives to reduce cabinet maintenance. The Evadure Cabinet is a UV resistant synthetic cabinet that is virtually maintenance free and extremely durable for exterior use. The hand scraped textured finish gives and natural look with three attractive colours available. 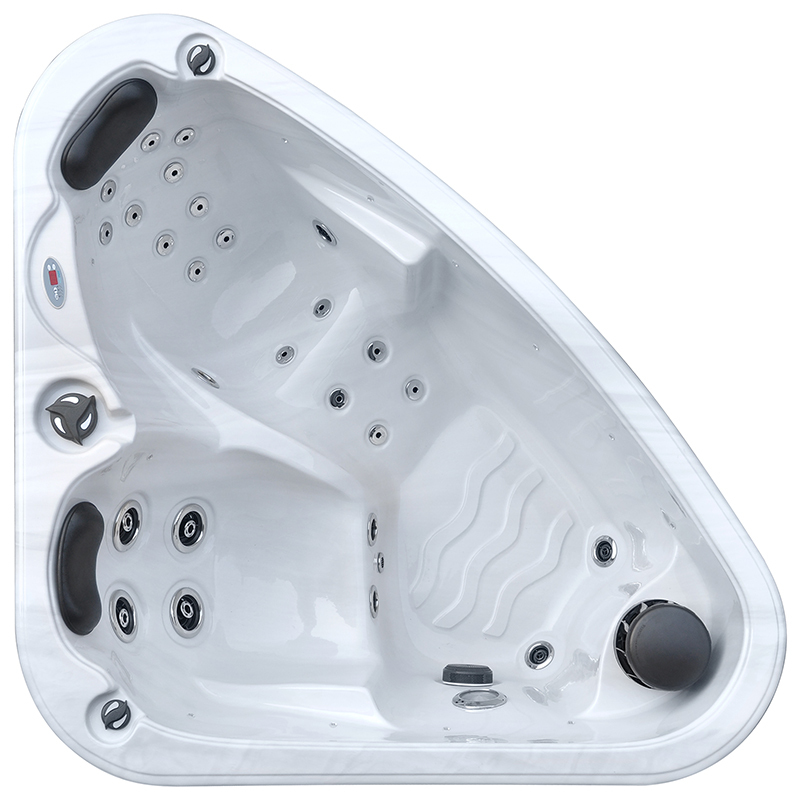 The lockable hard cover is manufactured with marine grade vinyl with high density insulating foam inserts. The cover boasts a load rating of 100kg static weight and provides a maximum heat retention. 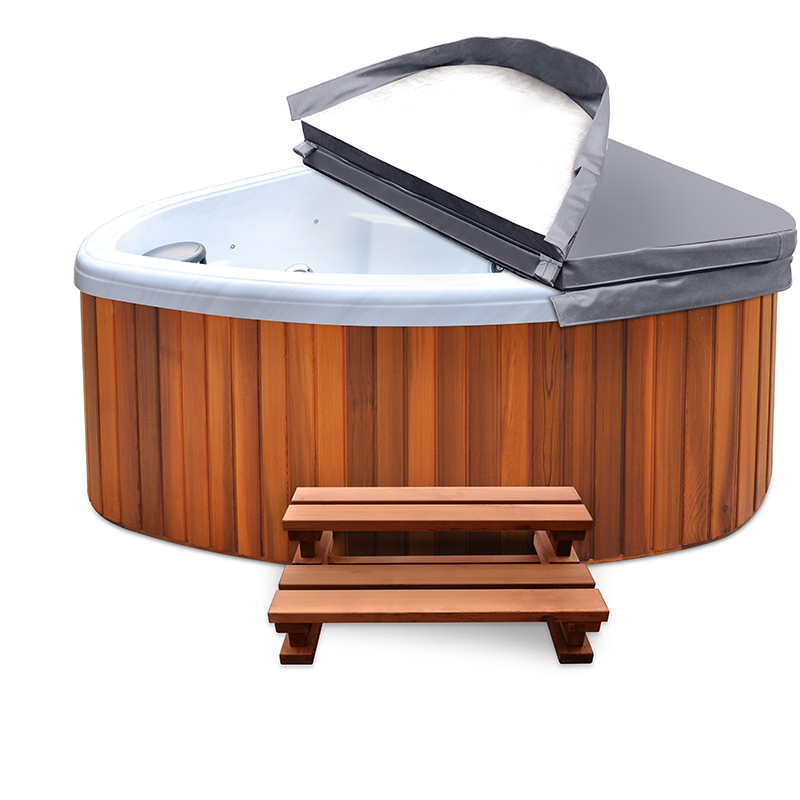 It is designed to be easily moved on and off the spa and also features multiple lock down key entry straps for added child safety and peace of mind. Note: Specifications and Components are based on portable models and are subject to change at manufacturers discretion.